The new Artist Rouge lipsticks come in 45 shades the shade that caught my eye right away when I was in Sephora was the White lipstick as well as the Peacock Green shades. But don't worried if these shades are not for you they have tons of other shades that will meet your needs. The new lipsticks from MUFE now have 25 percent more pigment which means a better colour payoff. I notice it right away when I put it on how pigment it was as well how creamy it felt on my lips. Not a hard or dry feel. My lips feel really hydrated whenever I put this on. 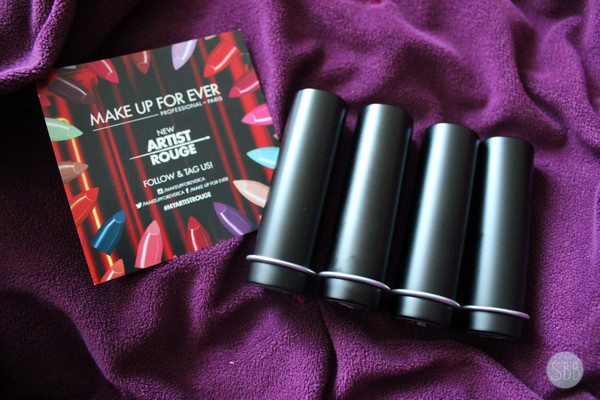 Artist Rouge comes in two finish Matte for the matte lipstick lovers and a cream finish as well. Just to note these lipsticks are also formulated without parabens, sulfates and phtalates. MUFE has launch a few new products recently, the new Face & Body Foundation, the Artist Palette Vol 4 and the Pro Sculting Brow Palette. I'm not sure if the brow palette is new but I've never seen it before so it's new to me and it looks amazing. 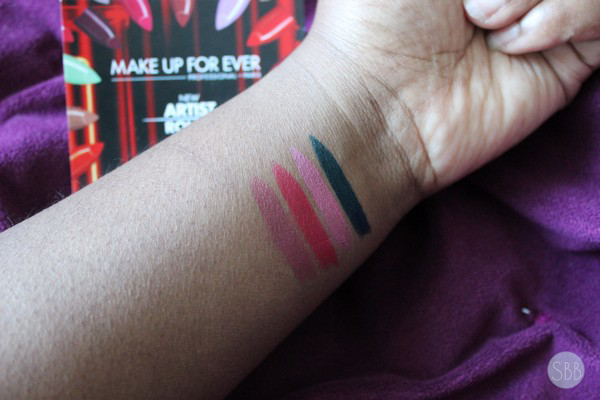 Now I think next MUFE should add liquid lipsticks to their collection which they kind of have with the Artist Rouge Liquid Lipsticks but it comes with a gloss side. I want to see hopefully soon liquid lipsticks from them without the gloss option and I will be 110% happy. What new products have or do you want to try from MUFE? Lovely post, the shade C211 looks gorgeous! Love the look of the formula, they look so creamy and opaque in your swatches. Excited to try! These are gorgeous - C211 is right up my street! Love these, especially C211 it looks like my type of shade! all these colours look so pretty especially C211! I love the peacock shade! I love this trend and how blue/green lipsticks have been becoming more wearable! Also the M301 shade is really beautiful, I want to try them! That green though! It would be super hard to pull off but it would be fun for halloween. Maybe a poison ivy costume!